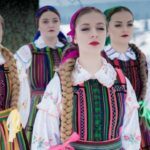 Telewizja Polska (TVP) has announced that it has internally selected the band Tulia to represent Poland in the upcoming Eurovision Song Contest in Tel Aviv next May. Different than in the last 3 years, TVP decided not hold a national final but to select its Eurovision representative and song internally. Therefore today the Polish broadcaster revealed that Poland will be represented by the bank Tulia . Tulia consists of four young female talented singers Patrycja Nowicka, Dominika Siepka, Joanna Sinkiewicz and Tulia Biczak. The band combines a characteristic style of singing with modern music production. It’s maily a folk inspired band that mixes old traditional sound with a modern touch. ulia is one part cover band and one part original producing musicians. Their work included covers from the likes of Citizen GC, Wilki, O.N.A, Seweryn Krajewski, Stan Borys, Depeche Mode, Metallica or Dawid Podsiadło. However, they have also their own identity by creating their own original music. However Tulia’s entry is to be revealed due to course. 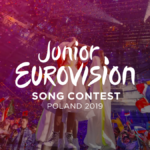 Although earlier on in January, TVP announced its plans to go internal ,songs could have been submitted until February 5 by songwriters and artists without any nationality restrictions, out of which a special committee will choose the representative of Poland at this year’s Eurovision Song Contest. Poland debuted at the Eurovision Song Contest in 1994 with Edyta Gorniak‘s To nie ja, achieving the best result for the country uo to date. The country which has participated 21 times in the contest and counts mixed results . It has managed a top 10 placing only three times. Due to poor results and financial issues and was absent from the competition for three consecutive years until their return in 2014. 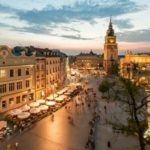 Junior Eurovision 2019: Is Krakow the host city?